As you know, we have kicked off our 2018-19 annual donation campaign, Denali Gives! Our fundraising goal this year is to raise $200,000 to support all of the individual activities that you might normally donate to support, like the annual camping trips, spring study trips or 8th grade promotion, as well classroom materials for our teachers, scholarships for extracurricular activities, and more. Your tax-deductible donation of $500 per student will enable us to meet our goal! Did you know that many companies will double or triple employee donations to Summit Denali? Some companies will also match your volunteer hours. Please check if your company offers a corporate matching program, and make your donation go twice as far by submitting a corporate match request today. For more information visit Donate to Summit Denali. APPLE EMPLOYEES can take advantage of a special 2-for-1 Corporate Matching offer in 2018. Please contact your HR department or Mr. Bock (kbock@summitps.org). Thank you to Apple for your generosity with Corporate Matching. The Audition Workshop is in full swing! Next Wednesday, October 24th at 5:00 – 5:40 pm we will have a Showcase where each student will perform the monologue they have been working. Please come to enjoy a fun evening and support the courage and talent of these young students. Thank you and hope to see you then! Join all Denali families (both middle and high school) next Thursday, October 25 from 5-7pm to share food and fun at the Denali Cultural Potluck at our High School (1133 W. Washington Ave.) location! enough for 10-15 people in bite size/smaller portions. Check out our new Extracurriculars bulletin board located near room 1. This is where we will be posting fliers about clubs and sports. Do you have a passion for protecting the environment by recycling? Help support the already established school recycling program. Once we have several middle school students we will start meetings. Our students have shown interest in 3D Printing, Chess, Music/Singing, and Board Games, but we do not currently have parent volunteers for these clubs. If you are interested in leading one of these or have an idea for a different club that you’d like to lead, please reach out to parent Michelle Cudzinovic at michellecudz@yahoo.com. Parent club leaders can support in many different ways — perhaps you have expertise in a topic and are ready to lead the group, or perhaps you’re excited to help out by just being an adult in the room. All levels of experience are welcome! 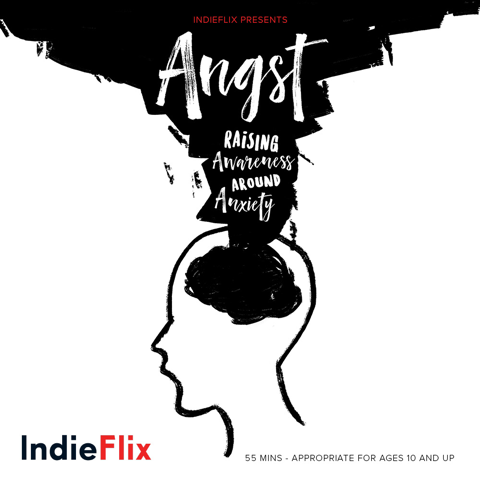 On Tuesday, November 13th at 6pm, Summit Denali is going to host (at our middle school campus on Weddell Ave) a special film screening of ANGST – a new documentary about anxiety. Click here to view the movie trailer. This is part of our Parent Education series and for this event, parents and caregivers may also bring their students (ages 10 and up). We are excited to have Spirit Week at our high and middle schools the week of October 30! Wednesday: Costume Day – Costumes must be school appropriate, in good taste, and non-disruptive, and they should not obscure the student’s face. No weapons or fake weapons of any kind are allowed at school. Prizes will be provided by Student Council to HS groups that get over 80% participation, as well as a top prize for the group that gets the most participation throughout the week. Wednesday – Costume Day & Halloween parade! Costumes must be school appropriate, in good taste, and non-disruptive, and they should not obscure the student’s face. No weapons or fake weapons of any kind are allowed at school. Our fall sports are wrapping up, and now is the time to sign up for winter sports! We have been proud of how well they have shown both their competitive spirit and sportsmanship! Read more about upcoming seasons here! Morning practices at Gateway Neighborhood Center (off Mathilda Avenue) Days/times TBA. Afternoon practices at Denali HS gym, 4-5:30pm. Games 2x per week, variable schedule. Afternoon practices at Denali HS field, 4-5:30pm. High school boys wrestling: We have tentative interest in a small wrestling team during this winter season. Are you interested? Please contact kbock@summitps.org ASAP! Middle School Girls Basketball is coming up after winter break – stay tuned! Soccer for middle school boys and girls is coming in late spring. Denali teachers have created a reading resource for you and your students. Check out tinyurl.com/denalibookrecs for some reading recommendations, and remind your student about the importance of reading every day. Bookmark this resource as we’ll continue to update it with our favorite books for students’ Summit Reads classes throughout the year! Do You Know About Konstella Social Groups? Thanks for the PSAT Snack Donations!